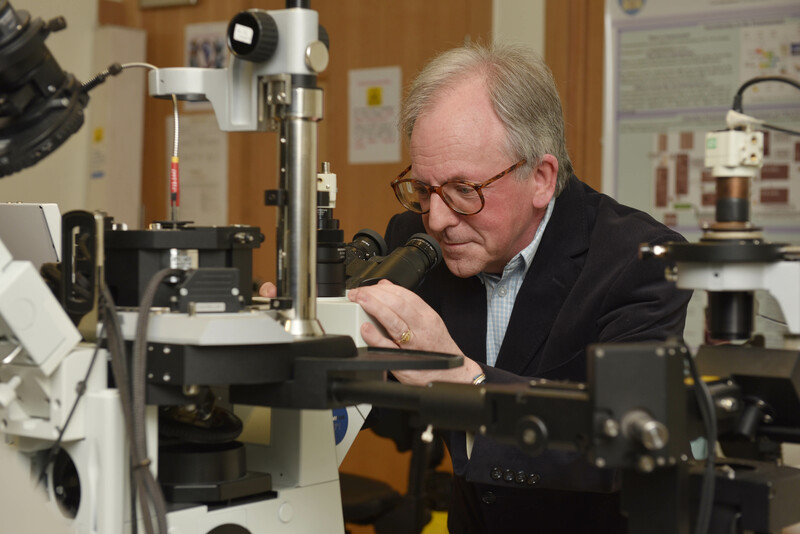 Professor John Donegan in his research lab at Trinity College Dublin. CONNECT Investigator Professor John Donegan from the School of Physics in Trinity College Dublin has been awarded €1.46m through Science Foundation Ireland’s Principal Investigator scheme. The funding will be used to investigate how laser technology could deliver more energy efficient devices for future optical networks. This will potentially lead to broadband speeds exceeding 100 Mb per second. This research is of particular interest to the ICT sector. Nokia Bell Labs have a keen interest in the project as the energy efficient devices being examined will likely complement the collaborative research activities they are currently undertaking with Prof Donegan’s team. Optical networks use light to transmit information and are a critical part of the world’s Internet infrastructure. These optical networks currently use about 1% of the world’s total electricity supply, but the growth rate is immense and projections suggest it could reach 5% by 2022. For this reason, there is an urgent need to tackle the energy requirements of communications networks. Professor Donegan’s research will examine the individual semiconductor lasers that currently light up global optical networks and will attempt to develop lasers that can operate at a range of temperatures without changing wavelength –one of the main contributing factors to energy usage in optical networks. Professor Donegan’s approach is unique in this research field. Professor Donegan, commenting on the award, said: “The world as we know it depends critically on the wired internet for communications. Each day, billions of e-mail and webpages traverse the net and there is a substantial cost in operating this network. A major impediment to growth in the future is the electrical power required to operate the net. Our research will investigate a range of new laser structures that operate with much improved efficiency and I look forward to further testing our devices with industry. Professor Donegan is an Investigator in two Science Foundation Ireland research centres in Trinity: AMBER, the materials science research centre, and CONNECT, the centre for future networks and communications. This award, which will benefit both centres, will run until 2022 and will support a team of five researchers, two post-doctoral researchers and three graduate students.